Aca-scuse me? This is real life. Photo by A-Tran. 5/11/13 Showbox SoDo. Scott (a.k.a. Beyonce) – Where do I even start with this kid? RIFFS, that’s what. Scott’s riffing skills are out of this world and leaves you amazed every time he sneaks one in. His powerful and distinct baritone pop/soul/r&b voice is so versatile and sounds stellar on basically anything. Mitch (a.k.a. Voice of an Angel) – Mitch serves the realness and sass of the group. Not only does he have the voice of an angel, his range, runs, and Vogue poses are EVERYTHING. Avi (a.k.a. Meat) – Never was there a bass like Avi. Not only is he a solid foundation for the group, he sings overtones like a pro AND claimed to be a dwarf whilst singing the dwarf theme song from “The Hobbit” at the show last weekend. He is also the sweetest person ever and wears a lot of flannel/plaid. Kevin (a.k.a. Potatoes) – What can’t Kevin do? He is a class act vocal percussionist, an accomplished cellist, the creator of “cello-boxing,” fluent in Mandarin, and was pre-med at Yale… seriously? This guy glues PTX together with his reliable and inventive beats, crazy sound-effects, beatbox-rapping, and vocal-trumpet solos! Now that you know a bit more about the members, let’s just take a minute and appreciate their combined sound. Their arrangements are a perfect combination of expertly arranged three-part harmonies, synchronized riffs, funky bass lines, dubstep breakdowns, and cray beats even your drum machine can’t keep up with! Their aca-talented-selves are so good that they are often accused of using instruments (best compliment an a cappella group could get!). 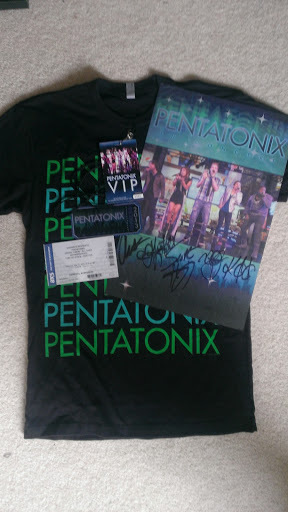 PTX just wrapped up the first leg of their 2013 tour right here in Seattle (obviously the best place for a finale). The show was nothing short of EPIC. They sold-out the entire Showbox SoDo, and I am pretty sure it was filled to the brim with choir nerds/a cappella-wannabes. Complete with a stage set-up, lighting, and choral-ography, the show was everything you could have hoped it to be. 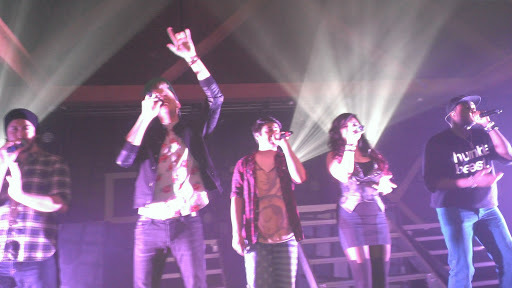 PTX performed the best of their YouTube covers as well as favorite from their time on The Sing-Off. 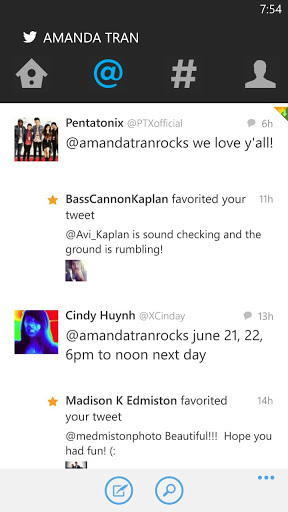 Oh yeah, I ALSO HUGGED ALL PTX MEMBERS. They were literally the sweetest people ever at the meet & greet! It all happened so fast, it was probably the peak of my fangirl life thus far. Basically, Scott liked my floral print Docs, and then I had a really nice conversation with Kevin about what I am studying in school and such. 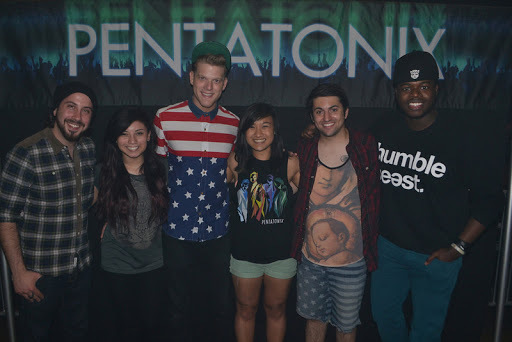 Can’t believe I actually got to meet my a cappella heroes, TOO MANY FEELS. I can actually see myself in this crowd shot! I saw them in Pittsburgh earlier this year, it was the third time I've seen them and they just get better each time!